Network Rail are again seeking to dispose of the car park land at Henley railway station to build a hotel on. This is the second time in 4 years that this has been put forward. This time though the site proposed is on the small car park opposite the train station entrance. Completion of the Henley development and the ultimate disposal is expected to be September 2020, subject to the success of the planning application. However, construction is not anticipated to start until early 2020. The land at Twyford station will be made available to GWR before April 2019 and there will be a focus on delivery the car park extension before April 2020. 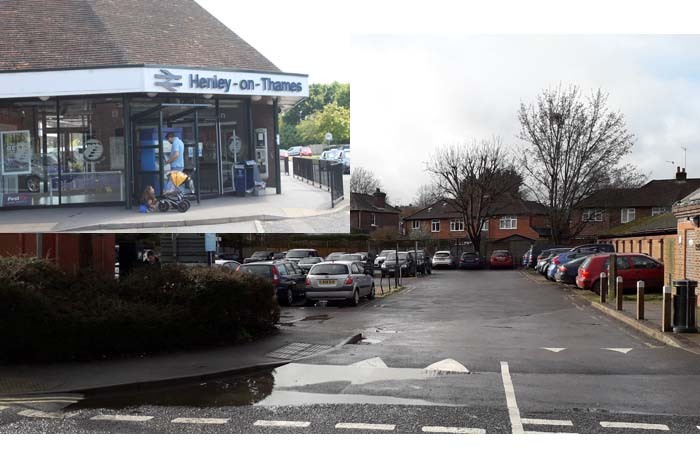 The joint Henley and Harpsden Neighbourhood Development Plan identifies a need to increase hotel and visitor bed space in Henley and earmarks Henley station car park as a possible suitable hotel site. The site proposed in the Plan though was further down Station Road on the left past the coach parking spaces which have been temporarily leased to Invesco for car parking. Could this hotel development be the answer to bring more footfall and night time diners into Henley and would attract those large restaurant chains or shops many residents would love to have in the town that have previously discounted Henley because we don’t have the numbers to make it viable? The loss of those precious car parking spaces though needs to be overcome. Please leave your comments below. Absolutely insane! Henley station is used by a very wide area of commuters. Not everyone can cycle to it. We need to encourage people to use the trains. Network Rail ran leases for train service companies whereas Network Rail Property had a target of selling off land. The clash was sour and indefensible. We have an excellent hotel at Henley Station – it is the Imperial Hotel so let’s open it. As for the loss of parking at the station, this seems to me to absolutely barmy! How can the council planners / decision makers possibly agree to this request. I have not seen a definitive number of parking spaces that will be lost following the Waitrose development. Vehicles are currently circling the town trying to find a space so this is the way we are reducing pollution! If they sell the land off for a hotel, they could run trains into and out of Henley without the daft interchange that exists now. This quaint town will soon be covered in concrete, and the population quadrupled.. Couple that with lorries and cars raising pollution – we are doomed! We have 2 hotels in central henley already plus Phyllis Court plus the Catherine Wheel – how is their combined occupancy? As mentioned sort the imperial out otherwise we could end up with too many hotel beds! Meanwhile as a resident of central henley we are strapped of residents parking. Open up mill meadows for residents OR the council have mentioned buying the station car park? If they have the funds land bank it… parking and then maybe a hotel in the future if it’s needed? The council must stand firm to no permanent loss of spaces. Indeed make it a condition to add further via a platform by way of a section 106 agreement and plan for the future.